♬♬ You better watch out, you better not pout……Santa Claus is coming to town! 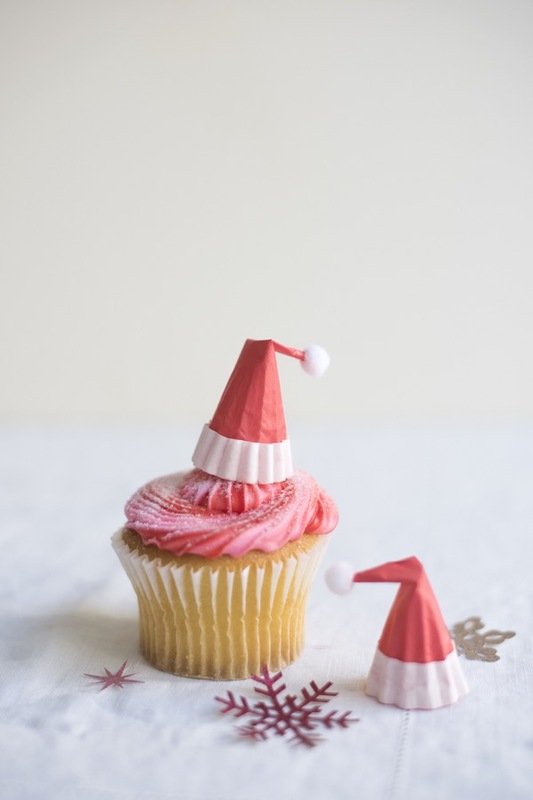 ♬♬ – -so add these little red Santa hats to your holiday cupcakes. Could also be used atop children’s plastic toy dinosaurs or animals, to their delight, I’d bet! 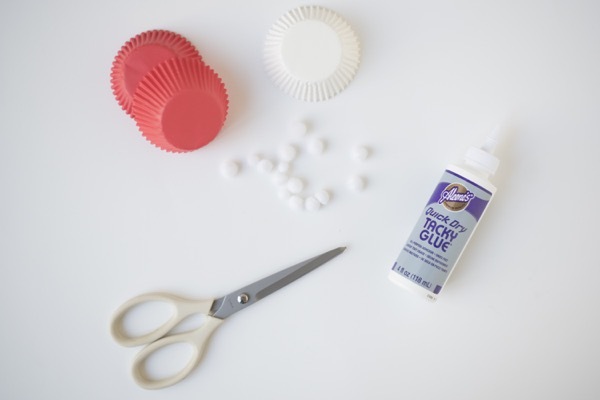 Materials needed: solid red and white cupcake wrappers, white mini pom poms (1/4″ and 1/2″), scissors, glue. 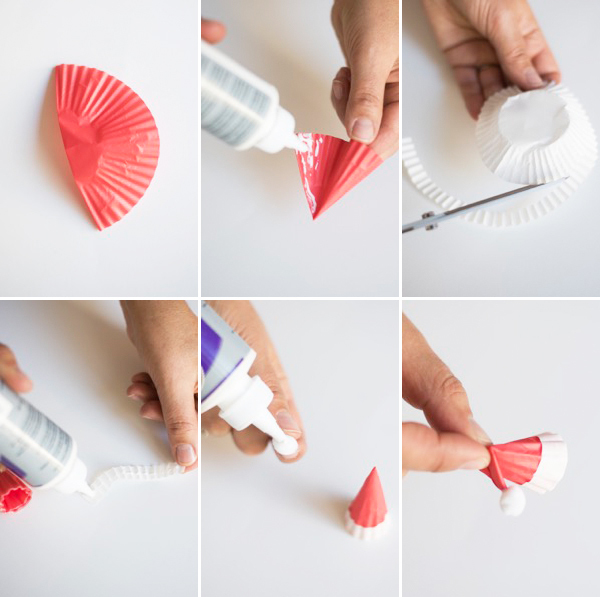 Step 1: Flatten a red cupcake wrapper in half. Fold in half again to find where the point should be. Step 2: Gently twist the wrapper, on your fingertip, into a hat shape and secure with a line of craft glue up the edge. Press firmly to seal. Let dry. Step 3: Cut a 3/8 inch strip off the bottom of a white cupcake wrapper. Cut enough length to wrap around the bottom of the red hat. Step 4: Glue the white strip on. Let dry. Step 5: Attach a mini pom pom to the tip of the hat. Step 6: Gently bend the point of the hat about 3/4″ from the top. Pinch to secure the bend. 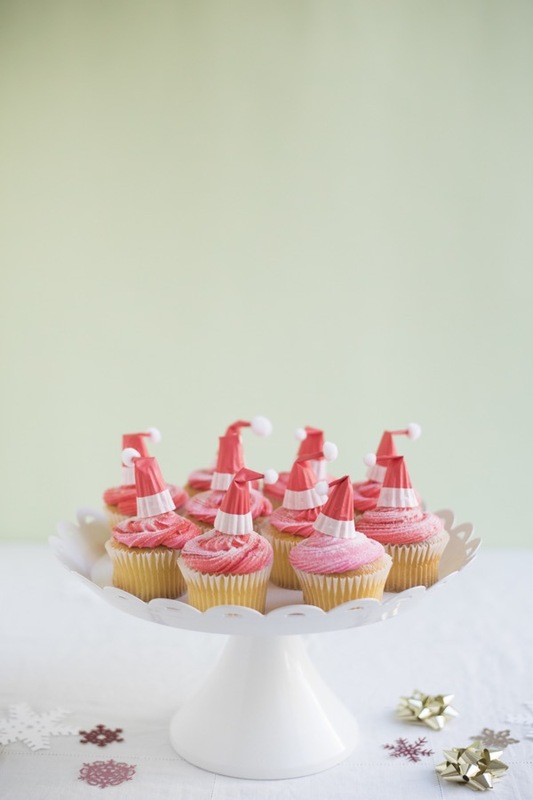 These cake toppers are so simple and cute! I love them! These are so cute! 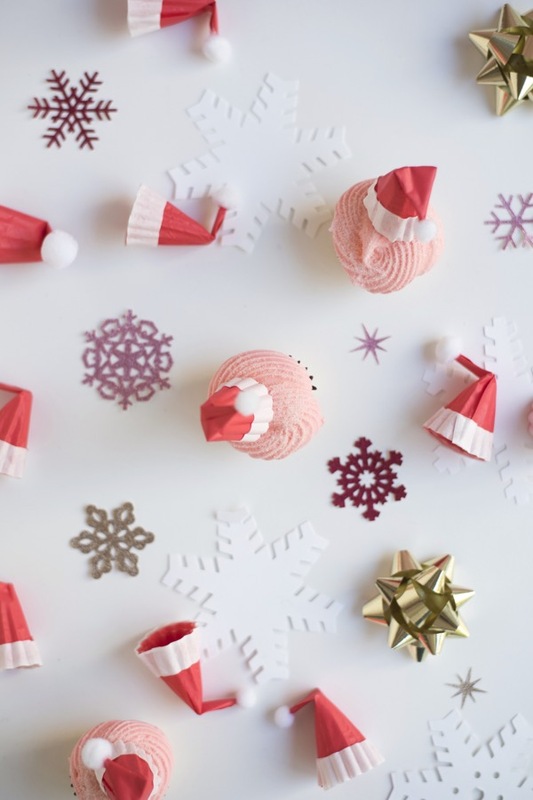 I especially love the little pompom on the end of each hat! 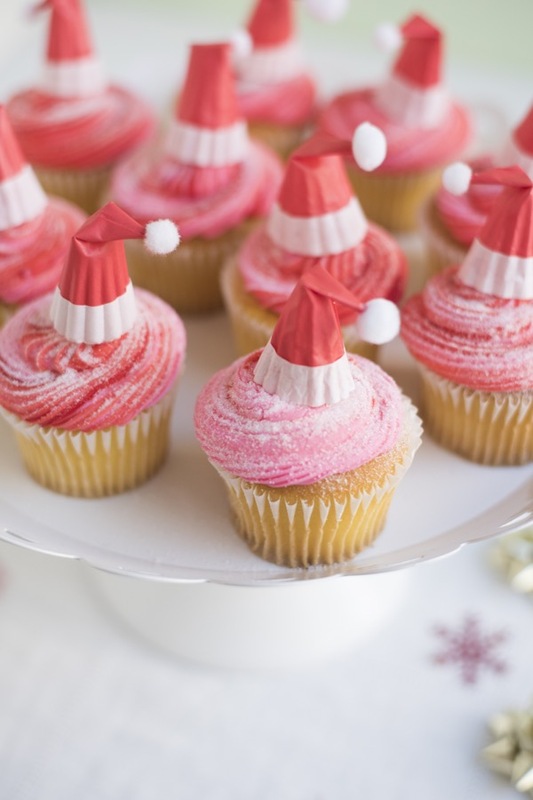 Oh my gosh, these Santa hats are so cute! 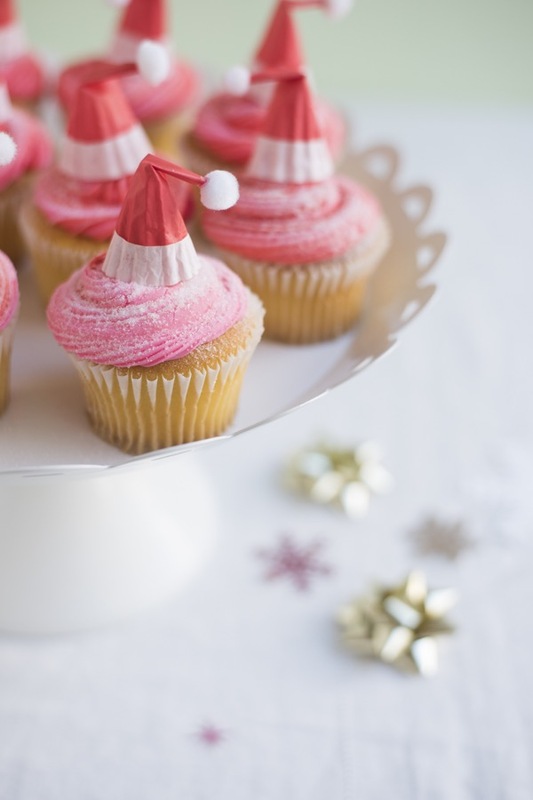 Perfect for the cupcakes.